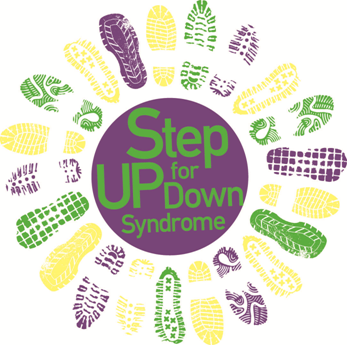 Step UP 4 Down Syndrome is a one-mile, wheel-friendly, pledge walk designed to help increase public awareness and the acceptance of individuals with Down Syndrome into society as well as raise funds to support initiatives and services for them in our own communities. Whether you have Down syndrome, just happen to know someone who does, or who simply wants to show your support, come down for a stroll! Be sure to meet your Buddy, (person with Down syndrome), or team in front of the pavilion LaBelle, Florida, (about 9:40 AM), for the opening ceremony, prior to Stepping UP to the challenge! .All pre-registered walkers may pick up their t-shirt on October TBA from 10 am to 3 pm at the event site. Register by September 15th and save $5! Plus be guaranteed a t-shirt. If you are pre-registered, go directly to registration to check-in and pick up your t-shirt.If you are registering on event day, please bring your completed registration form and payment to the registration tent. T-shirts will be distributed on a first-come first-served basis as supplies last. Saturday, October TBA, 2015 beginning at 9am at LaBelle, Florida. During the walk, teams will be judged on spirit. So create motivational signs or banners with your Buddy or team name to show off during the walk. Spirit judges will be located in the park around the track to select the winning teams or Buddies. Return to the pavilion at 12:00 pm for the presentation of the 2010 Spirit Award winners. Please join us so we can reach our goal for this year's walk – $10,000.00! Support the STEP UP 4 DOWN SYNDROME Walk – a special celebration of life, love, and the full potential of all within our community. Planned course: Travel approximately one mile around park course. Our wheel-friendly course at the park is perfect for family and friends! Pre-Event and Post-Event activities will take place throughout the park. Registration: Registration is necessary! You can register as an individual, family or as part of a team that you can start yourself or join another. contact the SW FL PODS Angels at 239-872-4778 if you have any questions or need assistance. Free activities for toddlers to teenagers including: carnival games, crafts, face painting, young athletes’ area, moon bounce, obstacle course, karaoke, a dance party and more. Food and beverage will also be available for purchase. Dance …Dance ….Dance…..Dance your shoes off in front of the stage or try your voice at karaoke. If dancing or singing is not your thing…sit back, relax and be prepared to be entertained. Silent auction and raffle items include team baskets of varying themes, tickets to shows and sporting events, memorabilia, baskets of cheer, and more. Raffle tickets are 1 for $2 or an arm's length for $10. Auctions and raffles close at 12:30pm. Winners will be posted at 12:45 and are welcome to pick up their prizes at that time. Donations of silent auction items and raffle baskets are always welcome. Feel free to contact us swflpodsangels[AT]msn[DOT]com to donate.